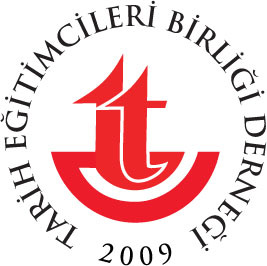 In 2009-2012, Turkish Educational landscape was in a large process to make a shift in history education towards innovative contemporary standards. It has therefore recently reformed the Social Studies Programme in primary as well as the programme for history in secondary education. The EUROCLIO project A Key to Europe, Innovative Methodology in Turkish School History, has aimed to sustain the ongoing Turkish reform process in history education by supporting Turkish history educators with capacity building, developing educational materials, based on innovative methodology and strengthening the network of innovative history and citizenship educators network within Turkey and also connecting them with regional and international counterparts. attention to the development of historical skills. Each generation of young Turkish people was taught along the same lines, not required to ask critical questions to the past. The project and this publication wanted to assist the new generation of Turkish history educators and their learners. This is then the product of unique collaboration. Like a good house, this book has been put together over the course of a few years. Over 200 History Educators, including teachers in primary and secondary schools, but also academics from different History Education departments of Turkey and members of the Ministry of Education’s Board of Education, worked together from the spring of 2009 to the end of 2011. Never before in Turkey, did such a large collaboration take place, bringing together the expertise of the researcher as well as the educator and bridging the gaps of theory and practice in school education. The large group of authors and experts worked along the lines of peer-review and feed forward. Project meetings have been observed by History Educators from Azerbaijan, Bulgaria, Cyprus, Georgia, Greece and Morocco. The foundations for the development of the educational material were laid in Antalya (October 2009) when the workshops concentrated on bridging the gap from theory to practice. The first materials were reviewed in Kizilcahamam (March 2010), while further training about Assessment in the learning and teaching of history was provided to the group in July 2010. Moreover, in October 2010, Dr Robert Stradling gave specific training about usage of multiperspectivity in history teaching. Finally, in January of 2011, a meeting in Istanbul was focused on using a diversity of sources in History teaching. A full Turkish language version is available, as well as an English excerpt version which includes only a selection of activities from the original book. 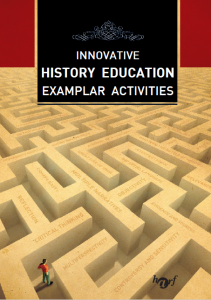 With this publication now added to the ranks of groundbreaking teaching resources, we can be sure that innovative methods in the learning and teaching of history in Turkey and beyond has received a positive boost. The official Turkish Ministry Portal for educational resources also features the resource, generating hundreds of thousand downloads and growing, by researchers, experts, teachers and students alike. A milestone. Stefan Ihrig (University of Cambridge) for the Georg Eckert Institute for International Textbook Research. Gülşen SALGAR TURAL, Hasan SUNGUR, Abdulcelil GÖK, Celal GENÇ, Ayşe BİLGİÇ. Benny CHRISTENSEN, Chris CULPIN, Dean SMART, Doug BELSHAW, Elise STORK, Ian PHILLIPS, Ineke VELDHUIS-MEESTER, Jerome FREEMAN, Michael RILEY, Mire MLADENOVSKI, Nick DENNIS, Robert STRADLING, Tamara EIDELMAN, Yosanne VELLA. Abdülcelil GÖK, Adem Artan, Ahmet Doğanay, Akın Sever, Ayşe Bilgiç, Ayten Kiriş, Arzu Güngör Akıncı, Besime Arzu Güngör, Cevdet Kırpık, Dr Ahmet Sait Candan, Dr Gülin Karabağ, Dr Hasan IŞIK, Dr Hüseyin KÖKSAL, Dr Meliha Köse, Dr Mustafa Gökçe, Dr. Bahri Ata, Dr. Hasan Işık, Dr. Hüseyin Köksal, Dr. Sevgi Coşkun Keskin, Dr. Sezai Öztaş, Engin Kaplan, Fatma Gültekin, Fethullah Güner, Gülşen Tural Salgar, Hakan Herdem, Hasan Sungur, İbrahim Hakkı Öztürk, M Ahmet Tokdemir, Mehmet Aksoy, Mehmet Öztürk, Neval Akça, Özgür Kafkas, Prof. Dr. Mustafa Safran, Ramazan Alabaş, Seçil Buket MEYDAN, Ümmügülsüm Candeğer, Yasemin Okurm, Yasin Doğan.